Private water companies are making a killing of the civic body’s failing, with many raising their charges by over three times this season. 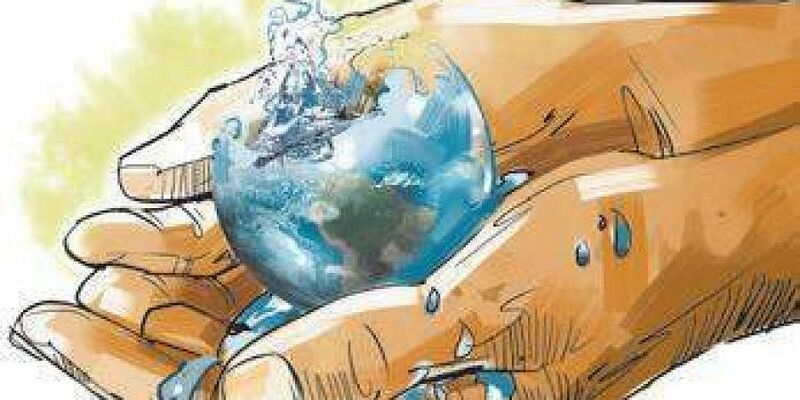 HYDERABAD: The HMWSSB plans to set up two water treatment plants at Osman Sagar to meet the drinking water needs of the parched West Zone, but of what use will they be in the absence of corporation water connections, ask residents of Alakapoor whose repeated requests for the same have fallen on deaf ears. Over 15,000 households in Neknampur are dependent on unscrupulous private water sellers as they don’t have any water connection, with their applications lying pending with the HMWSSB for as long as four years. “We have been applying for water connection since 2015. Over 300 connection requests have been abruptly turned down. This will be our fourth year without pipe connection. With borewells running dry and colonies sprouting rapidly in the area, where do we get our water from?” asked Alakapoor Township Resident Welfare Association general secretary Manoj Kumar. As a stop-gap arrangement, the HMWSSB set up a station of 90,000 litres capacity to fill tankers in Alkapur township a few months back. Tragically, even that has not received any water connection. “We built over 140 water harvesting pits, but there are just too many colonies springing up in the area and they draw up all the water from the borewells,” Manoj pointed out. “Water connections can be given to the 300-acre township only after the government’s approval. There is no set date for this. This makes the new water treatment plant useless to households without water connections,” an HMWSSB official told Express. Even water tankers of HMWSSB will not reach the residents as their applications were turned down. “Even if the tanker filling station starts functioning, it only provides 90 thousand litres as against our daily requirement of 15 lakh litres. Right now, we desperately need water,” said a local.